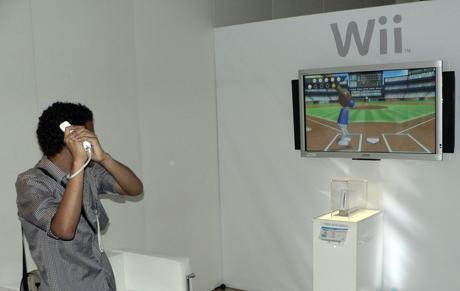 Well, after several weeks of waiting, I finally got my Wii, and as a result, Wii Sports. I got several other commercial games with it too, but I’ll be honest, I’ve spent at least ten times the amount of time on Wii Sports so far as I have Zelda: Twilight Princess. The main reason for this is that it’s so much like Crazy Taxi in that it’s simple, pick-up-and-play fun from beginning to end, no two games are exactly the same, and you don’t feel like a complete idiot playing it. Bowling and Baseball are two of the most addictive sports included, and are both very realistic to play, bowling especially. 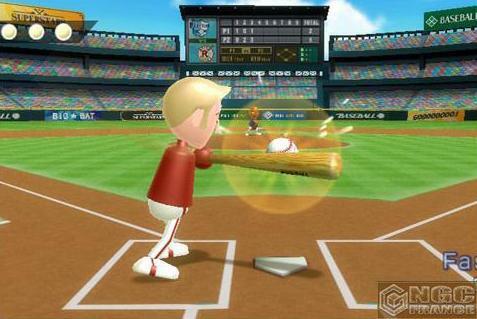 The temptation on Baseball to hold the remote up and shake it slightly whilst waiting for the pitch is immense, especially as your Mii rather satisfyingly copies your action in doing so. The temptation to use true-to-life gestures is equally immense, but simple “flick” gestures seem to work just as well. Bowling, on the other hand, includes the function of actually letting go of the ball, as well as picking up twisting motions in the swing to calculate spin on the ball. All in all, it’s fun, addictive and realistic. Golf is probably the most frustrating event included. It’s all about balance of power. 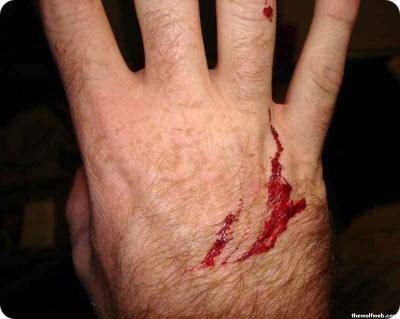 Hitting the ball too hard will result in it going off course, GUARANTEED. For best results, swing gently but firmly enough to fill that power bar. The chances are, though, you’ll not play this as much as the other events. The final event makes use of the nunchuck controller, but is scarily easy to control… yup, it’s boxing. Punching with the remote or nunchuck results in a nice head-shot being sent out, or going low with a thrust gives you a body blow. Swinging upwards will deliver an uppercut, whilst swaying left and right will make your boxer sway left and right. That’s right, it really works, almost like Police 24/7 in the arcades, you can move your body to dodge the blows, really try to float like a butterfly. Stinging like a bee is difficult, though, without some care and thought into your punches you’ll be stinging more like a gnat. As if that wasn’t enough, there are three training games for each sport (ten of which must be unlocked), and also a Fitness mode. This mode should be used once a day to chart your “fitness” level, simply by partaking in three different challenges from the training mode. With age 20 being the maximum score, you can view a graph of every time you’ve competed and chart your progress over a period of time. 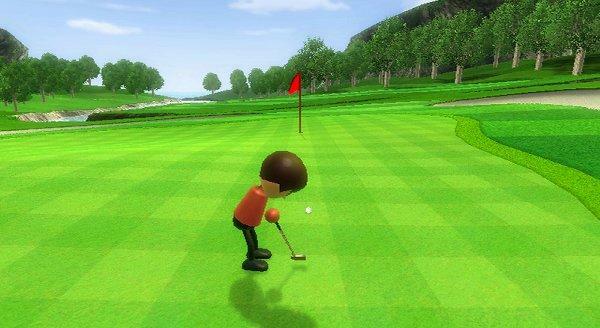 So, as with most games these days, Wii Sports isn’t without its faults, but they’re only minor, and none of them really detract from the sheer playability that you’ll find in abundance here. 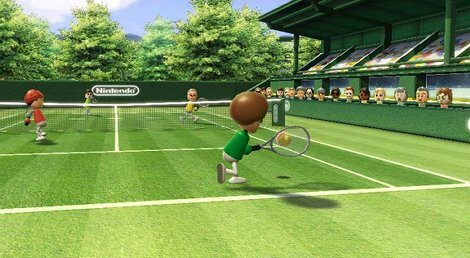 Just watch out, Nintendo… I can foresee not only court cases over the amount of time put into Wii gaming, but for injuries attributed to Wii Sports… Tennis elbow, anyone?